HOW2 Calculate square footage of your wall area to be covered – Assuming your wall is rectangular, simply measure the length and the width of your wall, the longer side and the shorter side. Now multiply those 2 numbers together. For Example: If your wall measure 5′ long and the other wall measures 3′ long you would multiply 5 x 3=15 Square feet. 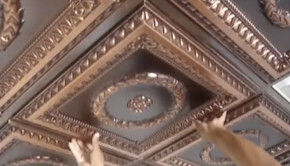 Enter your ceiling/wall area in square feet – After clicking the image above you will be brought directly to Decorative Ceiling Tiles project calculator. Now type in your area in square feet from step 1. (In our above example that number would be 15.) 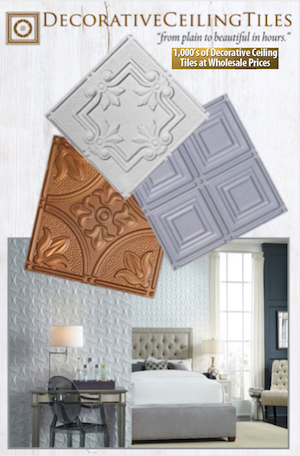 After you click on Calculate the minimum number of faux tin tiles you will require will be displayed. 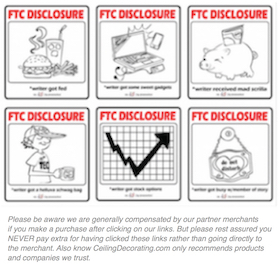 Add 15% Overage – Decorative Ceiling Tiles highly recommends you add 15% to the number of minimum tiles indicated. 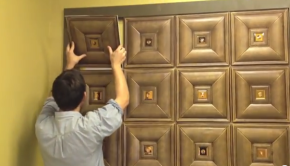 This allows for waste and mistakes and will give you a few extra tiles for the inevitable “oops” moment. On your own calculator enter the minimum number of tiles needed and multiply that number by 1.15 and your total number should appear. 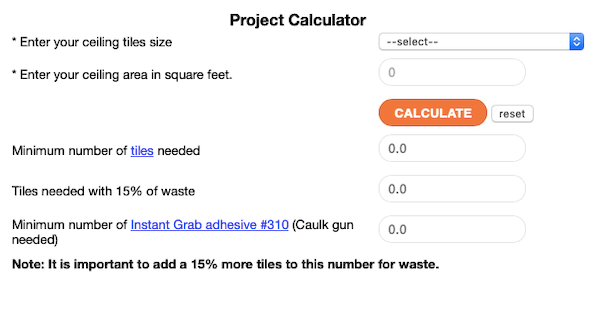 From our example in step #1 the project calculator estimated we need 7 tiles including overage. Just an FYI >> MirroFlex backsplash tiles come in packs of 10 so a single pack is more than enough to cover this space. 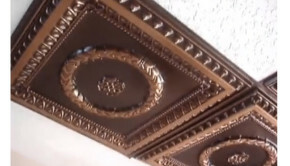 The recommended installation method for Decorative Ceiling Tiles’ tin backsplash panels is to apply a layer of plywood on your kitchen walls prior to starting the tile installation. However, if your existing wall surface is flat, free of any flaking or chipping, and clean enough to accept adhesive, you may be able to eliminate the plywood application. Choose a starting point for your first tile. Lining up the outside edge of a tile with the end of your wall and base cabinets can be a good place to begin or you may want to start in a corner. Place a small mark on the wall at the tile edge. Then use your level to draw a plum vertical line. This will be the edge of your first tile. Coat the rear of the first panel with adhesive. If you are applying the backsplash over an existing surface, the Instant Grab Adhesive is often the best choice. However, if you are installing over new plywood, you may want to use a latex based ceramic tile adhesive. Tin can dent very easily so if you’re installing a panel with an embossed design, take care to spread enough adhesive on the rear to fill any crevices in the panel. While the adhesive is soft and pliable, press the first panel into place taking care to distribute the glue evenly and into all crevices. 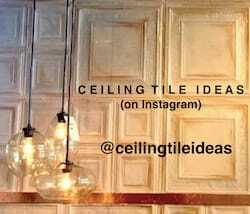 Repeat the process on subsequent tiles as the adhesive will hold each in place when pressed against the wall. Note that each tile overlaps the preceding tile by about 3/8 inch. As each overlapping tin backsplash panel is installed, use a clean non-abrasive cloth to wipe away any excess glue that is squeezed out at the joints before it hardens. Continue installing tiles until the area receiving the backsplash is complete. Remember to allow for overlapping when cutting out for switches and electrical outlets. And we highly recommend you consider ordering matching outlet & switch covers! Polished Brass and Copper tiles can sometimes have an adverse reaction to the adhesive used to apply them to your walls. When using these materials, spray the rear of the panels with a clear coat acrylic and allow to dry overnight before beginning installation.